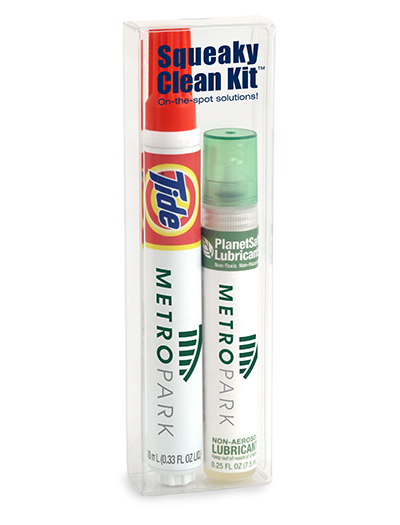 Promote with the Squeaky Clean Kit - Tide® to Go and PlanetSafe L6 Lubricant Spray! Tide to Go is the #1 instant stain remover* and helps remove many fresh food and drink stains. PlanetSafe L6 Home-Shop-Sports Lubricant is a non-aerosol, non-toxic, non-hazardous all-purpose lubricant that penetrates, protects, and cleans, with thousands of uses.